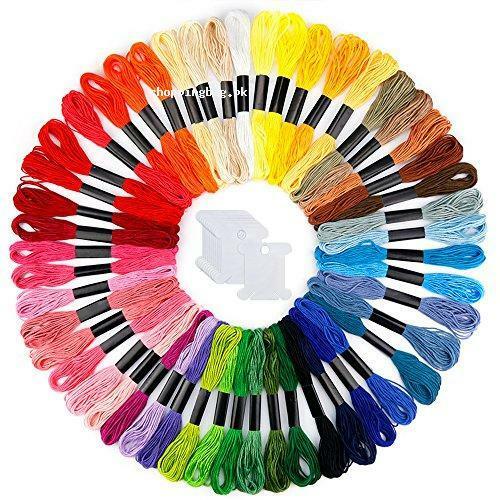 Caydo Embroidery Floss is available here in 50 assorted shades from rainbow. The embroidery thread is made up of premium quality polyester, which gives smooth and neat embroidery. Each thread is 8.75 yard in length. It is the ultimate pick for the beginners. The set also includes 12 thread bobbins. Just strike order now.